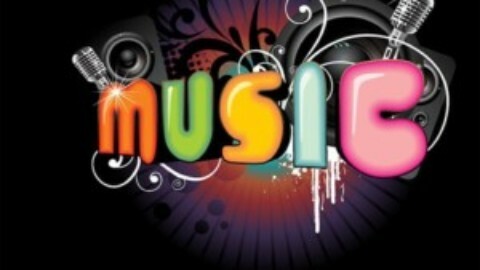 6th Annual Fundraiser with free admission ….. 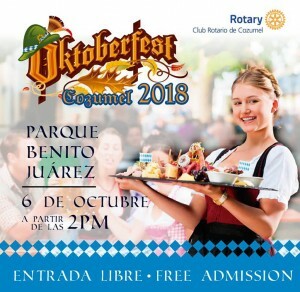 The Rotary Club of Cozumel is organizing their sixth annual Oktoberfest celebration, scheduled to take place this weekend – on Saturday and Sunday October 6 – 7 at the Benito Juárez Park (also known as the downtown zocalo). On Saturday 6th, the event will be from 2pm to 12am with cultural activities and authentic German food & beers will be available for sale. Admission is free. The “Oktoberfest” festival will start on Sunday October 7th from 12:00pm to 12:00 am and feature performers, entertainment, raffles and door prizes all day long. 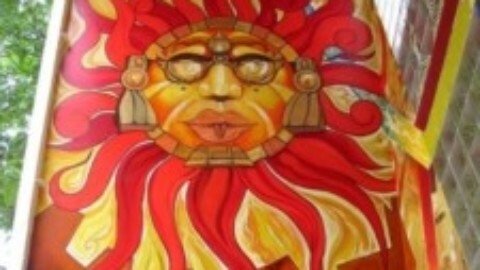 Authentic German food, beers and desserts will be available for sale. 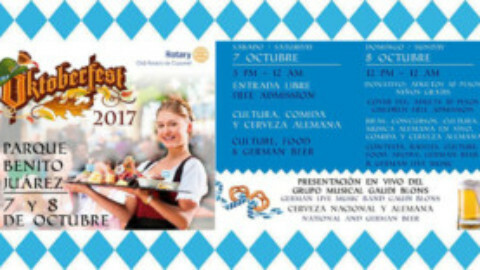 All proceeds from the 6th Annual Oktoberfest event will go to local and international Rotary programs. For more information on this event, or to donate a raffle prize, please contact Alex Franco, at alexfranco15@hotmail.com. La 6ª recaudación anual. Entrada libre. 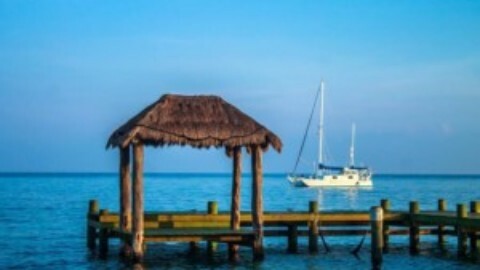 . .
de Club Rotario de Cozumel). El sábado 6 las actividades culturales, auténtica comida alemana y cervezas estarán a la venta de las 2 pm a las 12 am. La entrada es gratuita . 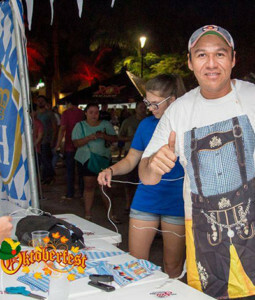 El festival Oktoberfest inicia el domingo 7 de octubre, de 12:00 pm a 12:00 am, con la presentación de artistas, entretenimiento, rifas y premios todo el día. Auténtica comida alemana, cervezas y postres estarán a la venta.